The accurate panels are finished with a very thin mortar joint producing a surface that requires minimum rendering. AAC possesses excellent structural integrity, resisting moisture penetration. Additional weather and moisture resistance is achieved with a surface treatment such as stucco, plaster and paint or cladding such as bricks or other exterior materials. AAC has outstanding durability qualities over traditional materials, like humidity, freeze/thaw cycles and chemical attack. AAC is non-combustible. It offers the greatest fire resistance than any building material. The use of AAC eliminates the need for applying costly fire proofing materials. AAC has extraordinary thermal insulating qualities and because of its unique physical structure. AAC provides much greater thermal insulation than conventional masonry. AAC is pest resistant because there are no voids for insects/pests to make homes. AAC cannot be penetrated by termites or insects and hence reduces the need of pesticides. AAC has shown to provide better sound insulation and absorption than any other solid building material under comparable conditions and so it is ideal for projects that require greater acoustic insulation such as apartments, hotels and entertainment halls. Walls, floors and roofs constructed with AAC reduce the transmission of sound 7dB greater than other building material of the same weight. Its relatively low consumption of low materials, excellent durability, relative cost effectiveness and the ability to be recycled. AAC has been aptly called the ‘Superhero’ of building materials. Use coupon code BENZU to get 40% off on your order. I would like to add that It has better capillary water absorption performance in comparison to clay brick because AAC had discontinuous pores. 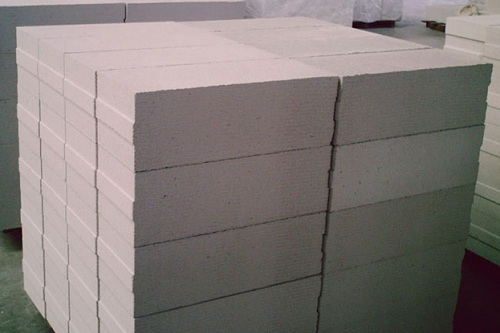 We can put a clay brick and AAC brick of same size in water and can see the performace. clay brick becomes completely wet and AAC brick remains approximately unaffected. There is no penetrain of water on AAC wall. IS Specification code for AAC is IS-2185 ( Part – 3 ) and water absorption test is not included as not required in case of AAC. So, AAC is excellent material.